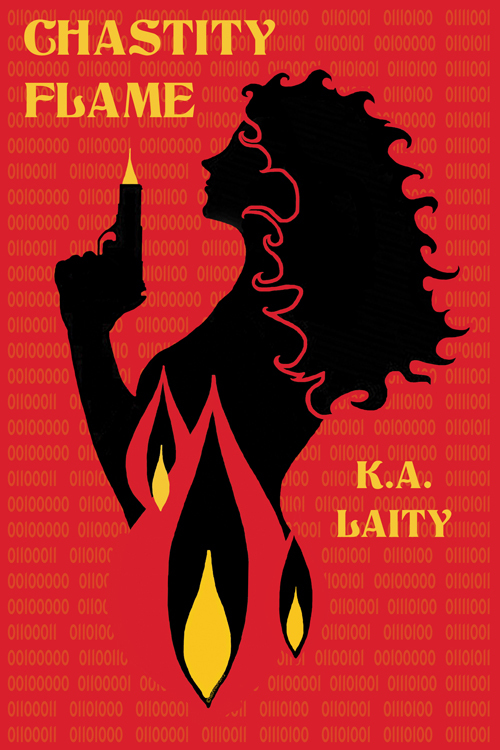 This is one of three covers based on a three-book series by author K.A. Laity – Chastity Flame will be published September 20, 2012 by Tirgearr Publishers. I also created 4 banners for the website. Thanks for entering. Send me an email with your format preference (katelaity at gmail). Very clever to have the name of the book repeat over and over and over. Chastity Flame K.A. Laity. But I am guessing? Or did I read it from someone else’s comment? Anyway its great! LOL, send me an email and what format you want the ebook in. I love this cover! And outside of the binary code for infinity (looping forever) I don’t have a clue. I’m adding the book to my TBR pile. Not sure if I am posting in the right area…but here goes…. If you send me an email (katelaity at gmail) and which format of the book you’d like, I’ll send you the ebook. Congratulations, I hope you enjoy it! You got it! We have a winner! vsery nice – hot, hot, hot!!! Thanks so much, guys- you made my day! I’m so excited about the new and improved CHASTITY FLAME — because she’s about to be a trilogy with fab art by the wonderful S. L. Johnson!